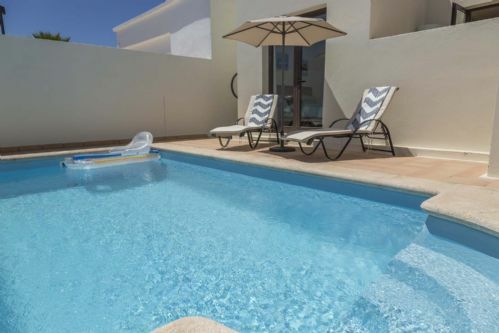 Casa Rosada - is a beautiful 3 bedroom/ 2 bathroom villa with private heated pool and stunning sea views! The villa provides FREE WiFi and FREE aircon in living room and master bedroom. Welcome to Casa Vivien , a modern and spacious 2 bedroom (with aircon) , 2 bathroom villa with a private heated pool and free WiFi. 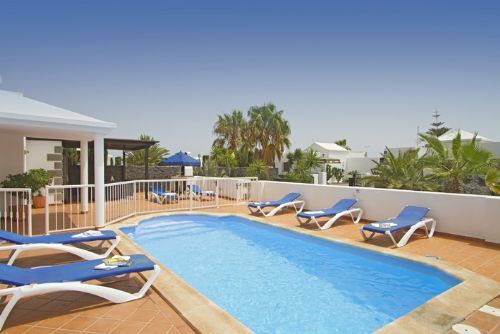 Casa Zahoja villa in Playa Blanca, Lanzarote benefits from a large roof terrace and BBQ area. This villa has a fully equipped kitchen, two bedrooms and a family bathroom with a walk in shower. 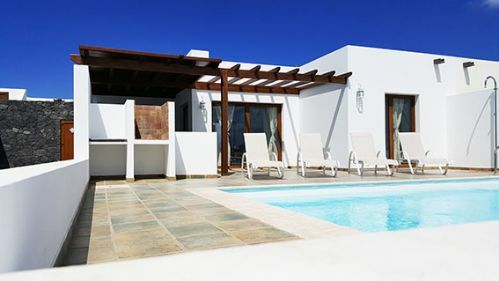 Villa Anna is a beautifully furnished well equipped Villa with Panoramic views starting from the Femes mountain and across the ocean to Fuerteventura. During the day and night you will never tired of the view. The villa has 3 bedrooms and 3 bathrooms with private heated pool. The covered terrace area offers shade from the sun and is an excellent alfresco dining area.